During the holiday season, it can be easy to forget about healthy habits and get out of normal routines. Now that the holidays are over, it is time to get back into routines and start making healthy choices. I am by no means a health nut, but I do enjoy living a healthy lifestyle. When I am not making healthy choices, I always notice a difference in my energy level and often complain of being tired. It amazes me how just adding a few healthy habits into my day re-energizes me and provides the drive I need to accomplish my responsibilities. Being healthy doesn’t mean you have to take extreme measures or drastically change your lifestyle. By adding a just a handful of simple changes to your day, you can make a big impact on your health. Water has so many health benefits! It clears up a complexion, adds moisture to your skin, is a natural detox, and keeps you hydrated so that you don’t fill up on empty calories from other sweet drinks. If you are trying to drink more water, invest in a good size water bottle that is easy to carry with you. Place it somewhere that is easily accessible and a constant reminder to drink it. Every morning I fill up my water bottle first thing and set in on the counter. I always fill it full with ice so that it stays cool and refreshing throughout the day. By setting my water bottle on the counter, it is easily accessible and a constant reminder that I need to be drinking it. I make a point to take a sip from it every time I pass by the water bottle or when I am thirsty. I even carry it with me around the house and take it in the car while I’m running errands. 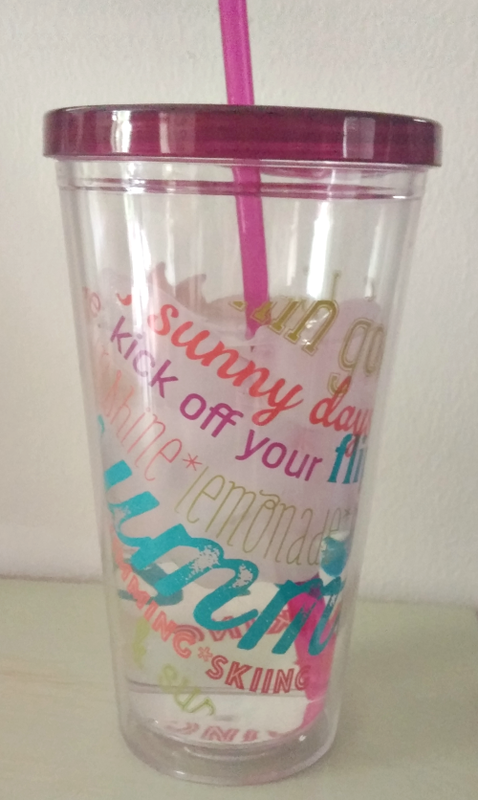 I love my Tumbler with a straw! 2. Make healthy foods easily accessible. I have found that I eat fruits and vegetable more if they are easy to grab and eat. After I get home from the grocery store, I wash, cut, and package any fruits or vegetables that need to be prepared. For instance, today I purchased a bag of carrots, a bag of apples, and bananas. Since the bananas are easy to just peel and eat, they were left on the counter where they are easily accessible. I washed the apples and put them in a bin of the refrigerator. That way I can grab an apple for a quick snack without having to wash it before I eat it. I washed, peeled, and cut up the carrots, and now they are ready to throw on a salad, roast for dinner, or just eat raw with hummus. Frozen fruits and vegetables are also convenient. All of the washing, peeling and cutting has already been done for you! I always make sure to have frozen vegetables in stock when I don’t have a lot of time to cook. Having healthy food ready to go makes it easier to avoid eating convenient foods like chips, cookies, and other carbohydrates that are full of unhealthy calories. We often associate exercise with running miles on a treadmill or an aerobics class at the gym, but exercise can come in different forms of movement throughout the day. When the weather is nice, I like to go on a 30 minute walk around our neighborhood. But some days I work in the yard, or clean out a closet. I even count scrubbing the shower or mopping the floor as forms of exercise. I try my best to keep my body moving as much as possible during the day. This burns calories and strengthens muscles and bones. I’ve also noticed that when I exercise I feel energized and positive. A great way to add more movement into your day is to turn off electronics. It is easy to watch mindless hours of television or spend hours scrolling through social media, and never take time to exercise. Make a point each day to take a break from electronics. 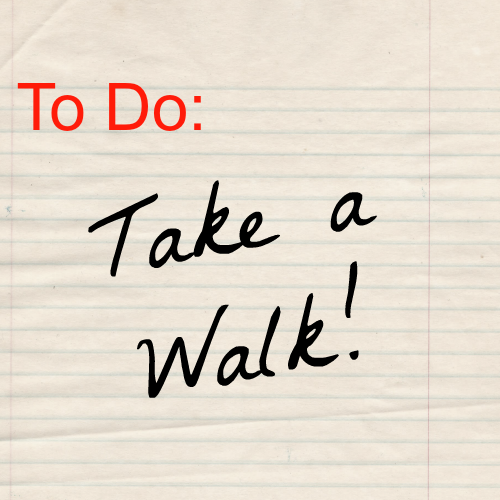 Go for a walk around the neighborhood. Take 15 minutes to organize a junk drawer. Clean a corner of your home. Weed a garden. Find something to do that does not require electronics and get your body moving. 4. Take a daily multivitamin. Even when you do your best to eat a variety of foods, it is still hard to get in all of the vitamins that you need. Think about taking a daily vitamin to help supplement the food that you eat. I have always had a difficult time swallowing pills, so I prefer gummy vitamins . If you don’t want to spend a lot of money on vitamins, many stores have a generic brand that they sell. Also, you could be on the look out for a sale on vitamins. Our local grocery store often has a sale on name brand vitamins and sometimes I am able to match a coupon to the sale to save even more! This one is much easier said than done, but is so important. Just like our bodies were designed to function from the food that we eat, they were also designed to need sleep. Yet many people I know complain about not getting enough sleep or are constantly tired. Make it a goal to get at least 7 hours of sleep for an entire week. Once you have done this for a whole week, you will start to notice a difference in your energy level and will probably make getting sleep a priority. My husband can fall asleep within seconds of his head hitting the pillow. I on the other hand, used to toss and turn for what seemed like hours. After sharing this with my husband one evening, he replied, “Just turn your brain off. Tell yourself it’s time to sleep.” This simple advice really helped me “turn off my brain”. Before bed, I write a list of all the things that are going on in my head. I also turn off all electronics about 15 minutes before bed and read. If my brain does start to wander after I have laid down for the night, I literally say to myself over and over in my head, “sleep, sleep, sleep” until I fall asleep. I guess that is my way of counting sheep! If these habits seem overwhelming to you, commit to just one habit this week. Then add another habit the following week. Pretty soon these habits will become second nature. It’s okay if you have a bad day. Remind yourself that you are doing your best and start over the next day! 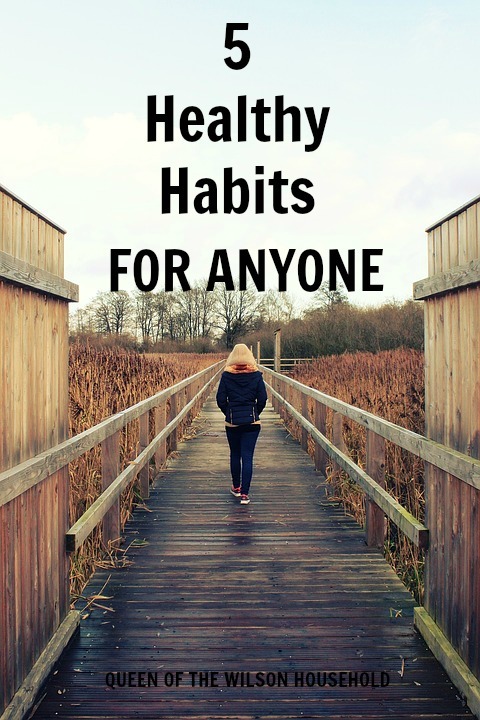 What healthy habits are you including in your day? Sounds like great tips! Many nights I fail to get enough sleep…I'll try the tips you gave. Getting enough sleep is an ongoing discipline for me too, Vickie! I hope some of the tips help you out like they do for me.